Martin Luther King is greater than “I Have a Dream,” more than any single image, greater than his monument, yet not perfect. His every word is not sacred, but his each word is serious. We must pause over him, because he is great. He got the big thing right, but you cannot pretend he got everything right. No American should spend a second on criticisms of his views of the race struggle in America: he was right, deeply right. We need not buy his view of the Cold War, by the end, though we should understand it. 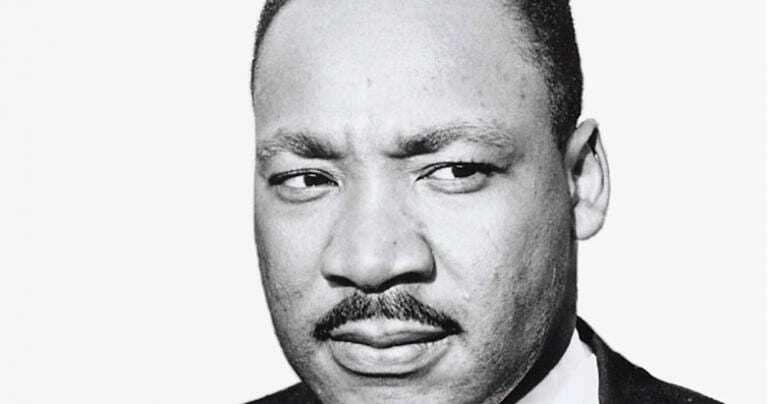 I am not a historian and his works are vast, complex and no modern movement’s property: Rev Dr Martin Luther King Jr was a free man and so he cannot be captured by anyone. Nothing irritates some of my friends more than saying: “That’s complicated” about an area they think easy. There is a breed of Twitter atheists who assume that “duh, everyone knows only material things exist” who does not care if Frege makes an argument for the existence of mathematical objects. They do not read the argument, take an expert seriously, or even engage. They know materialism is true so they opine strongly. Theists do the same, though we have less excuse. Humility is a quality we are supposed to have, so when I am (Lord have mercy!) condescending, I fail as a man, philosopher, and Christian. Every year we come to Martin Luther King and someone like I am reflects on the volumes of his thought, sermons, and actions. He is a complicated man: American saint. That does not, of course, mean he is not a sinner. Rev. King was a man, flawed, but he got the big thing right. America was hypocritical and on race deeply vile.